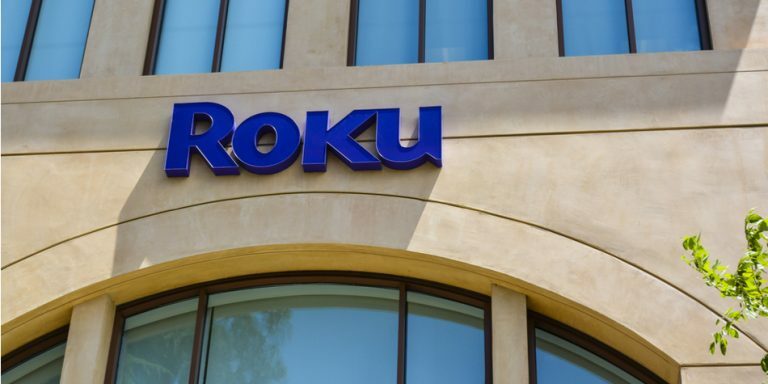 Shares of streaming device maker Roku (NASDAQ:ROKU) plunged as much as 20% on Thursday after the company reported third-quarter numbers that ostensibly were very strong. Q3 revenues topped expectations. So did earnings, and gross margins. The platform added more users than expected. Total streaming hours came in ahead of expectations. And, management lifted its full-year revenue and gross profit guides to above-consensus marks. Yet, ROKU stock still plunged 20% after the print. Why? Because Platform revenue was just $100 million in the quarter, versus expectations for $103 million, and ARPU (average revenue per user) was $17.34, versus expectations for $17.44. Meanwhile, the fourth-quarter profit guide came in light of expectations. To be sure, third-quarter numbers affirm that not all is well in the Roku kingdom. Growth is slowing, particularly on the Platform revenue side, which is where this company’s entire long-term growth potential comes from. Also, sustainable profits may be further away than initially anticipated. But, the 20% plunge in ROKU stock seems overdone. The quarter was largely very good. Growth remains robust. And, this company remains the leader in the secular growth OTT advertising market, which promises to be huge one day. As such, this post-earnings dip in ROKU stock is an opportunity. Long-term upside from current levels is compelling. Roku’s quarter was very good aside from four things. One, Platform revenue missed expectations. Platform revenues came in at $100 million. They were expected at $103 million. This is a small miss. But, it is still a miss, and considering the entire Roku growth narrative is all about growth in this Platform business through OTT ad sales, a slight miss here warrants investor caution. Two, ARPU also slightly missed expectations. The Street was looking fro $17.44 in ARPU. Roku delivered $17.34. Again, this is a small miss. But, ARPU is a very important metric for Roku. It is essentially unit Platform revenue. Moreover, the higher ARPU goes, the more margins have potential to grow. Thus, a slight miss here also warrants investor caution. Three, the Q4 profit guide was light. At the midpoint, Q4 profits are expected just below break-even. Analysts were expecting Q4 profits of $7 million. Thus, it seems that Roku is spending to sustain growth, and that is a worrisome sign for investors. Four, growth across the board is slowing. ARPU growth was 37%. Last quarter, it was 48%. Platform revenue growth was 74%. Last quarter, it was 96%. Gross margins expanded 560 basis points. Last quarter, they expanded more than 1,000 basis points. Granted, 30%-plus ARPU growth, 70%-plus Platform revenue growth, and 500-plus basis points of margin expansion are still great. But, they aren’t as great as investors have seen over the past several quarters. Overall, then, slowing growth coupled with some critical Platform-related line-item misses and a weak profit forecast freaked investors out. Considering ROKU stock was trading at 8X trailing sales heading into the report, that freak out was quite large. Net result? A 20% plunge in ROKU stock. Not all is well in the Roku kingdom. If growth continues to slow meaningfully going forward, ROKU stock does not warrant its current $5 billion market cap. But, that won’t happen, and it won’t happen because growth isn’t slowing where it truly matters: engagement. In advertising, there is one simple rule: money always follows engagement. All video consumption is moving to an OTT model because such a model offers consumers enhanced convenience and better pricing. Consequently, all video ad dollars will follow suit, and eventually migrate to the OTT channel, too. From this perspective, all Roku needs to do is maintain high engagement so that when all these video ad dollars follow engagement into the OTT channel, they find their way onto the Roku platform. The important metrics to watch, then, are the engagement metrics. Right now, those metrics remain robust and the trends remain favorable. Active accounts growth in the quarter was 43%, and came in well ahead of expectations in the quarter (23.8 million versus 23.1 million expected). More impressively, total streaming hours growth was 63%, versus 57% last quarter, 56% the quarter before that, and 55% the quarter before that. In other words, not only is Roku growing its user base by over 40%, but that user base is also consuming more that content than ever before, and growth in engagement is actually accelerating, not decelerating, in spite of tougher laps. That is a bullish read. It means that Roku, which already controls about 40% of the OTT device market and 25% of the smart TV market, is only expanding its leadership position in the OTT market. Eventually, this market will be $200 billion large (the linear TV ad market measures $200 billion globally today, and all those dollars will inevitably flow into the OTT channel). Thus, Roku is remains the unchallenged leader in a market that promises to measure $200 billion one day. Roku’s market cap is just $5 billion today. Thus, long-term upside in ROKU stock is compelling. Not everything is perfect at Roku. But, in the big picture, this company remains the unchallenged leader in the secular growth OTT advertising market. Considering that market projects to be $200 billion one day, and Roku’s current market cap is just $5 billion, long-term upside in ROKU stock looks compelling from current levels. As of this writing, Luke Lango was long ROKU. Article printed from InvestorPlace Media, https://investorplace.com/2018/11/dip-roku-stock-compelling-upside/.